Canella was tied to Alison’s house while no one was home! She spent the whole day in the hot sun with no food or water. Luckily someone was passing by, spotted her and brought her to the cliic. Canella is a beautiful young lady with a shiny red coat that doesn’t shed! 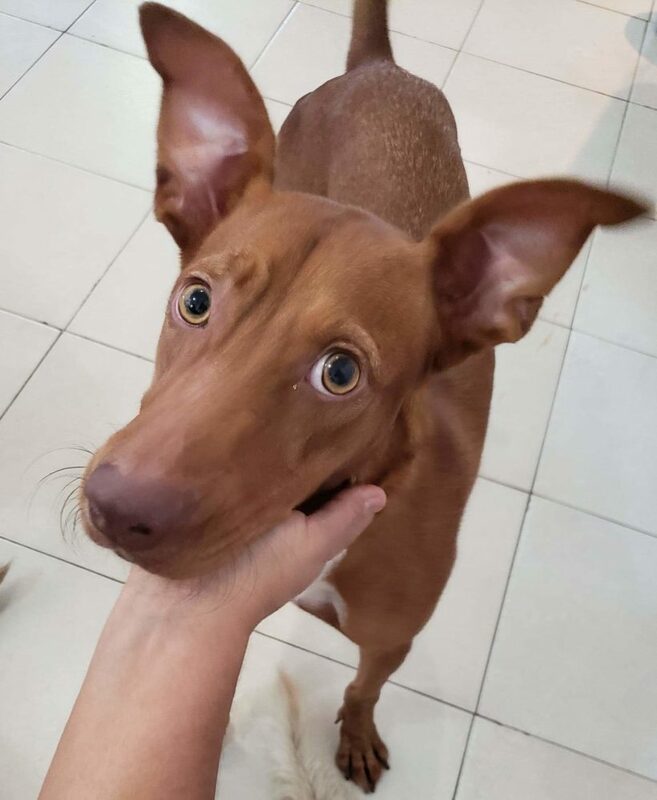 She is part basenji, part vizsla. She is a high energy dog who runs like the wind on the beach! She gets along great with all the dogs and just wants to play. She loves humans too!